We help financial advisors enhance their client connections and anticipate their clients' financial needs. 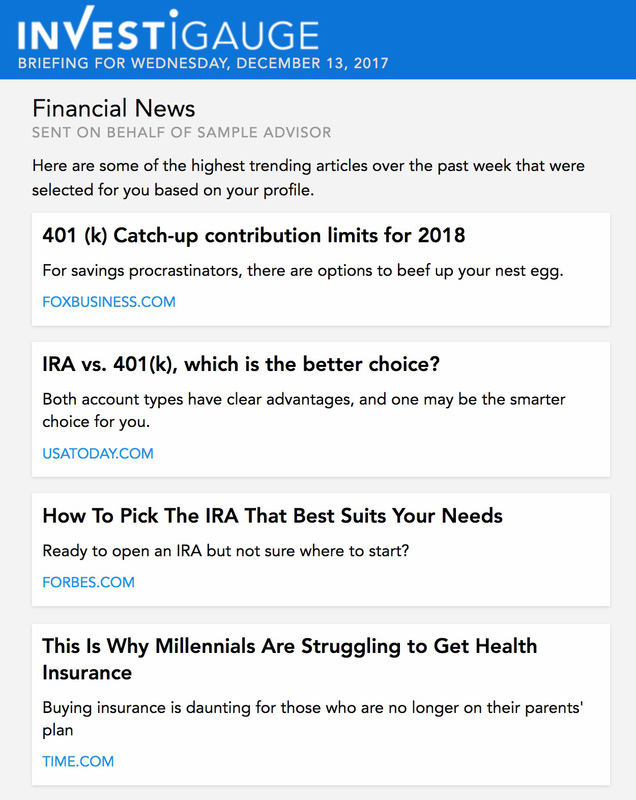 Your clients receive weekly personalized news briefings filled with articles about the financial issues that matter to them. 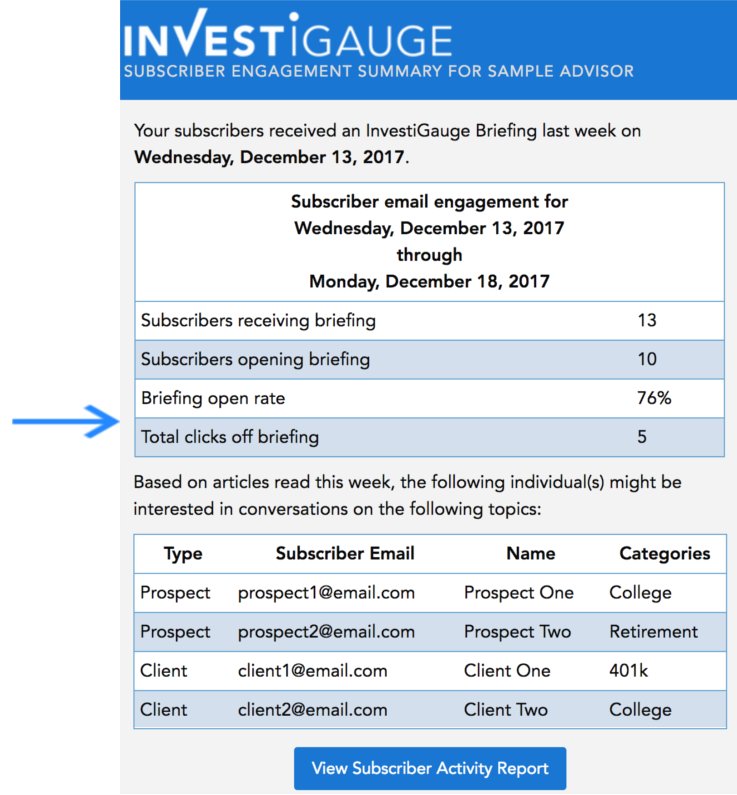 You receive reports that summarize your clients' interest in the articles that they read each week. Understanding the articles theyâre reading sets the stage for your "next best conversation" with each client. InvestiGauge manages the setup and ongoing maintenance and reporting once you invite your clients to subscribe. There is virtually no work for you to get started! Want to learn more? Find out how InestiGauge works. 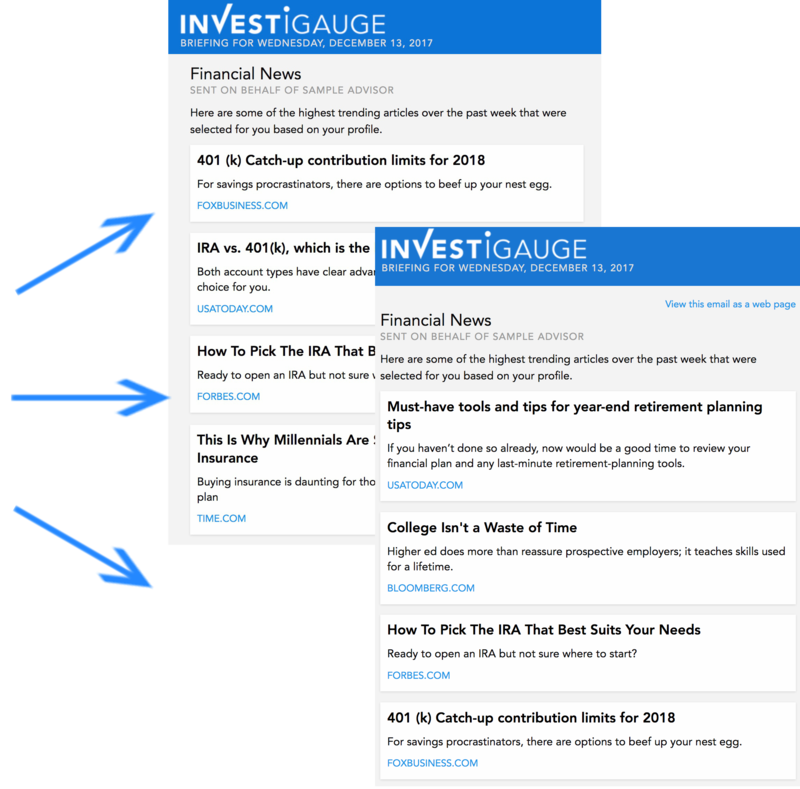 Sophisticated algorithms identify the most relevant financial articles for each individual. 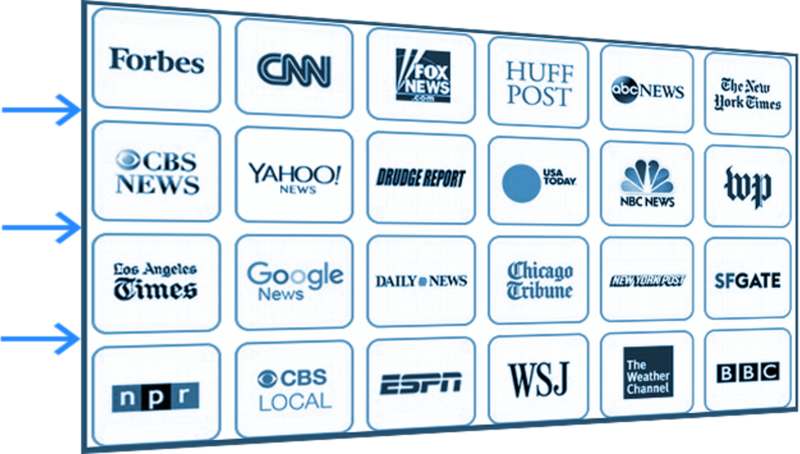 15,000+ articles from 60+ sources screened and categorized weekly. Individually personalized briefings sent to each subscriber. 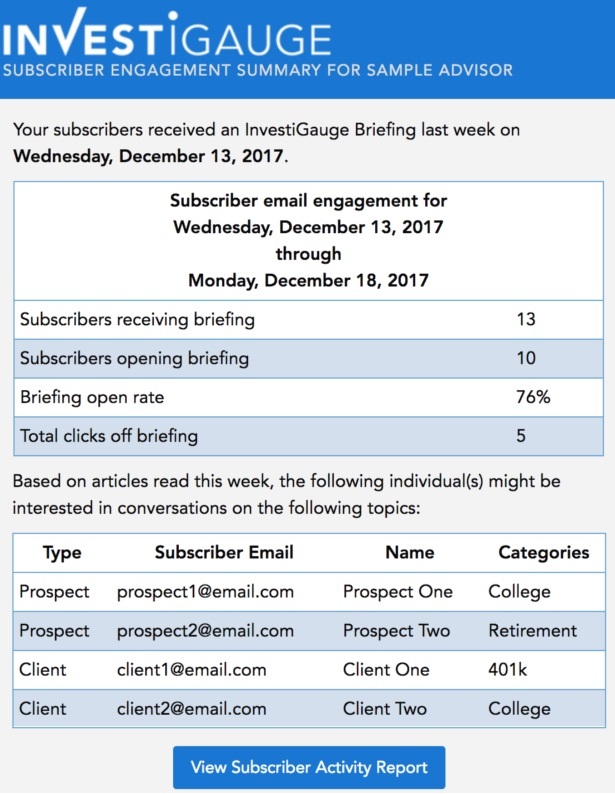 Financial advisor receives weekly engagement summary. Have a question or like to see InvestiGauge in action? Drop us a message. We will get back to you in 24 hours. Please enter a valid name and email address.